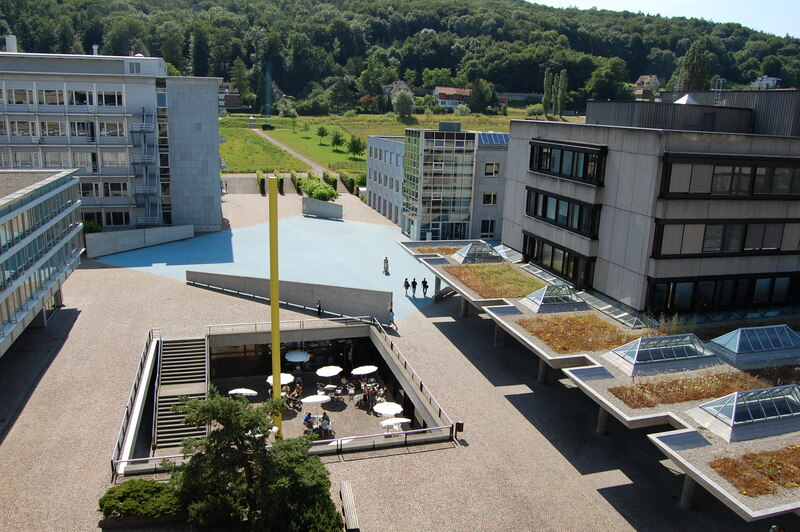 The Crystallography School is being hosted by the Department of Chemistry at the Irchel campus of the University of Zürich, Switzerland. Zürich has a long and distinguished history of crystallography and crystallographers. Names like Debye, Scherrer, Niggli and Dunitz are synonymous with Zürich crystallography. 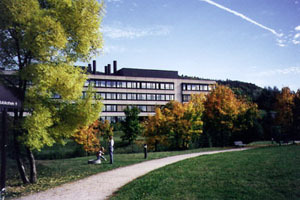 The university's modern science campus was opened around 1980 and is located in the picturesque Irchel park, about 12 minutes by tram from the city centre. This natural oasis forms a quiet and invigorating environment away from the bustle of the city and traffic. The buildings are generously laid out and the campus has some of the best equipped research facilities to be found in a university. The comfortable lecture room, well-equipped computer classroom and X-ray diffractometers are located in the same part of the campus. The university cafeteria and snack bars are in the same building complex and a banking ATM is on site. The Irchel-Campus of the University can easily be reached by public transportation. The campus and the Coronado Hotel are less than 15 minutes by tram from the centre of Zürich and the main train station. Take tram lines 7, 9, 10, 14 or bus lines 69, 72 to the stops Irchel or Milchbuck. The hotel is opposite the Milchbuck tram stop and the campus is a few minutes walk away in the centre of Irchel Park. Tram 10 will bring you directly from Zürich Airport to the hotel (tram stop Milchbuck) in about 25 minutes. Zürich has exellent international and national train services.